"Vestibulum id ligula porta felis euismod semper. Fusce dapibus, tellus ac cursus commodo, tortor mauris condimentum nibh, ut fermentum massa justo sit amet risus. Cras justo odio, dapibus ac facilisis in, egestas eget quam. Etiam porta sem malesuada magna mollis euismod." In this instance our client was struggling to climb the stairs, and her Son contacted Olympic Lifts to see if we could help. 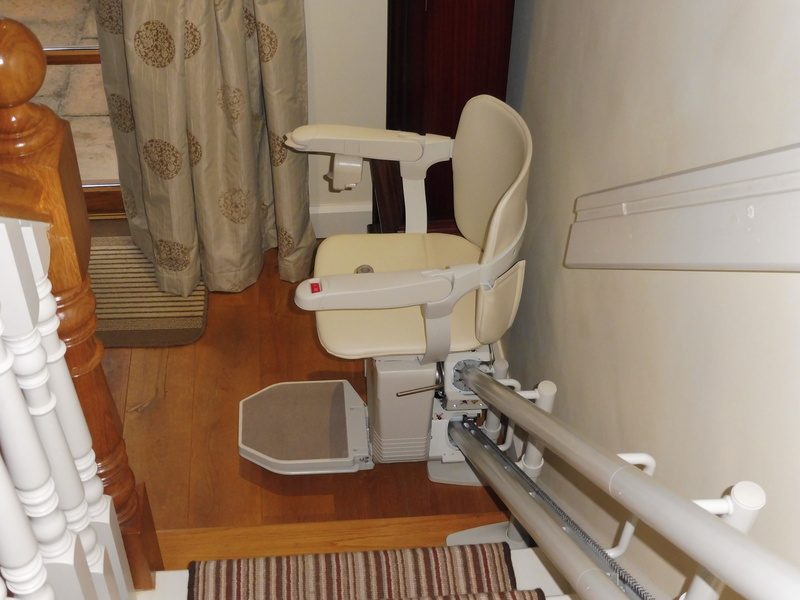 After visiting our showroom in Lisburn, and trying out the various Stannah stair lifts on show the family were happy to order a new Curved Stannah Siena Stairlift. They chose Ivory upholstery to match the d�cor of the hall stairs and landing. After arranging a no obligation survey we photo surveyed the stairs, (which guarantees a 100% fit) and sent the results to Stannah, who built a bespoke rail to suit the profile of the stairs. The lift was installed 3 weeks later. new case studies section. We have broken this down by Curved, Straight & Outdoor Stairlifts.